We picked up a frozen pound of ground lamb last minute at the Saturday market. The folks at the Bald Hill Farm stand recommended sauteeing it with quinoa. But I needed more inspiration. 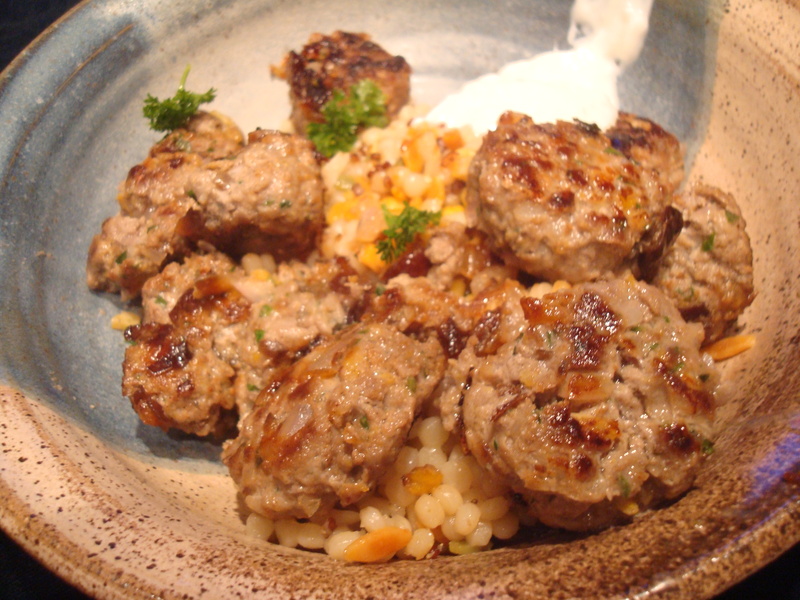 So I turned to this Lamb and Prune Meatball recipe reprinted on the Culinate website. Better yet, I had all the ingredients (the lamb, prunes, shallots and allspice) already waiting at home. How do you cook with ground lamb, if you do? The Bald Hill meat seems reasonable at $4.80 a pound, from lambs grazed in local pastures, yielding a rich taste that is so much more luscious than ground beef. 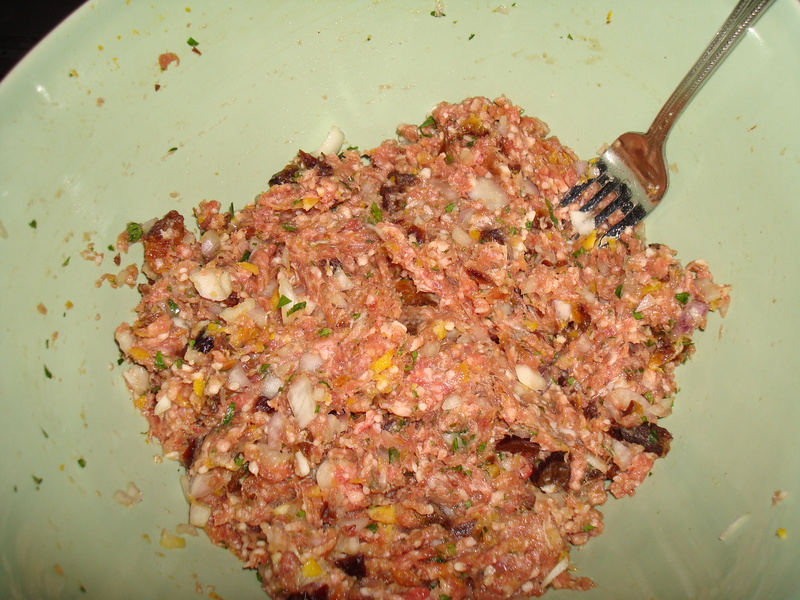 Now I plan to serve these meatballs by toothpick at our housewarming party Sunday. um, that picture on the left looks like barf. Yeah but leave it to Laura to turn barf into something beautiful, with prunes yet! Laura’s the most intrepid cook….I’d love to be a (well-fed) fly on the wall at your housewarming.